Covenant Health has been named one of America’s Best Employers for Diversity for 2018 by Forbes magazine, and is one of just three Tennessee companies to make the national list of 250 organizations representing all industry sectors. The designation marks the third year in a row Forbes has named Covenant Health as one of America’s Best Employers. The health system previously has been named to Forbes’ best employer lists for mid-size and large companies. Other Tennessee organizations named to the Best Employers for Diversity list are Nissan Motor Company and BlueCross & BlueShield of Tennessee. National healthcare organizations making the diversity list include Johns Hopkins, Carolinas Healthcare System, Mayo Clinic and Cleveland Clinic, among others. Forbes partnered with statistics firm Statista to compile data from a survey of more than 30,000 U.S. employees working for companies that employ at least 1,000 people within the U.S. The survey was based on four criteria: Direct feedback around topics of age, gender equality, ethnicity, and other general diversity; recommendations of minority individuals regarding employers in their respective industries; diversity among leaders and board members based on the share of women who fill top positions, and publicly available data related to diversity. She added, “With a service area of more than 20 counties, the employees of Covenant Health represent the variety of ethnicities and cultural backgrounds of the populations we serve,” she continued. “Our employees also range in age from recent graduates to people who have worked at our member organizations for more than 40 years. 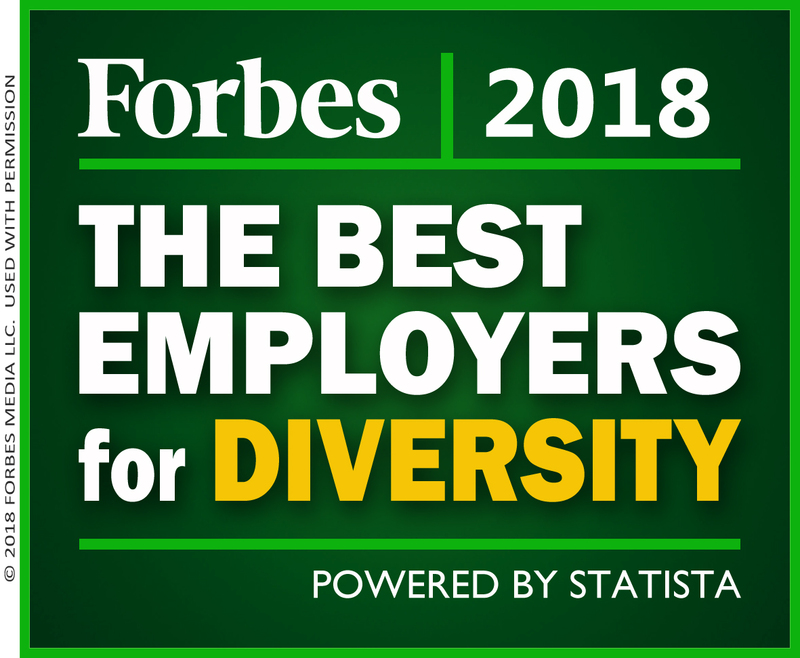 For more information about the Forbes Best Employers for Diversity list, visit https://www.forbes.com/best-employers-diversity/list/. Interested in joining such a strong, diverse team? Check out our current openings and apply today at www.covenantcareers.com!